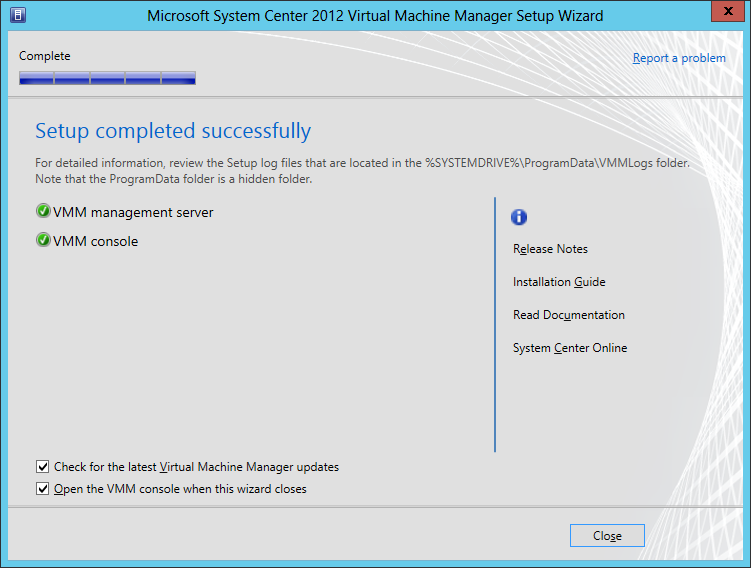 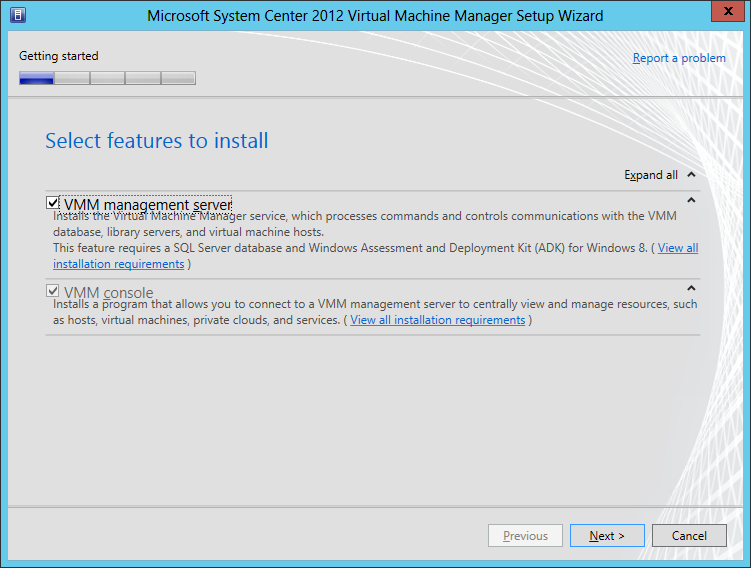 In this step-by-step guide I will install the System Center 2012 – Virtual Machine Manager with Service Pack 1 on a Windows Server 2012 (with 4GB RAM). 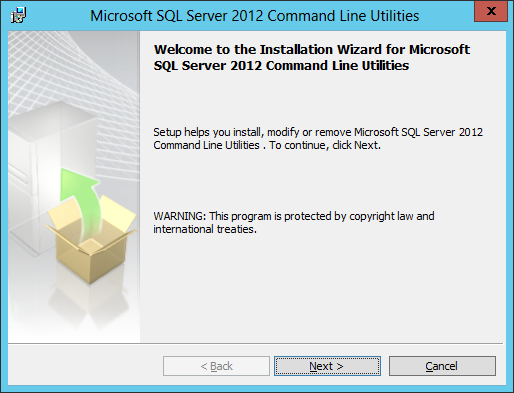 For this installation I will use my current Microsoft SQL Server 2012 which is installed on a separate server. 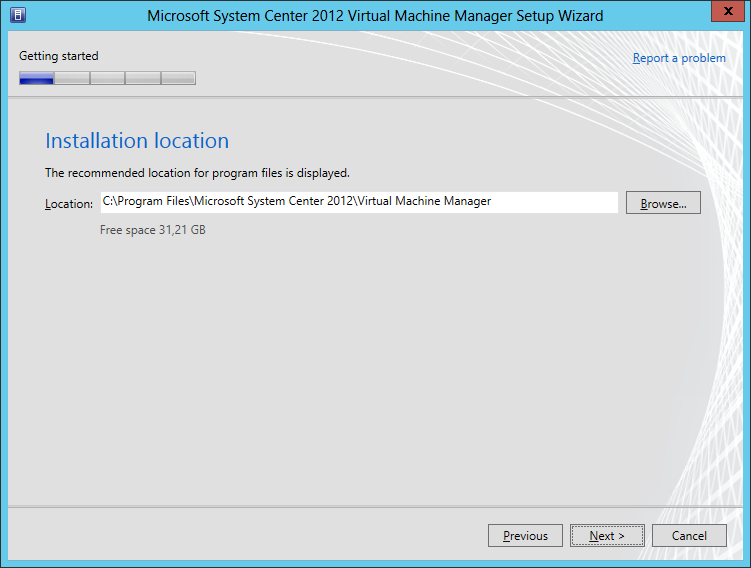 For the installation of the Virtual Machine Manager you have to do some preparations. 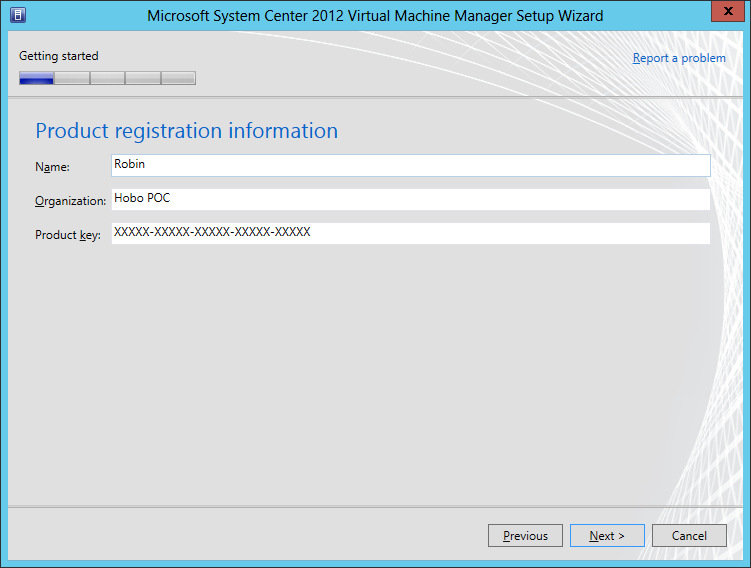 If you want to use Virtual Machine Manager in a Highly Available (HA) environment or plan to use shared ISO images with Hyper-V virtual machines, you have to create a domain services account. This domain services account has to be a member of the local Administrators group on the computer. 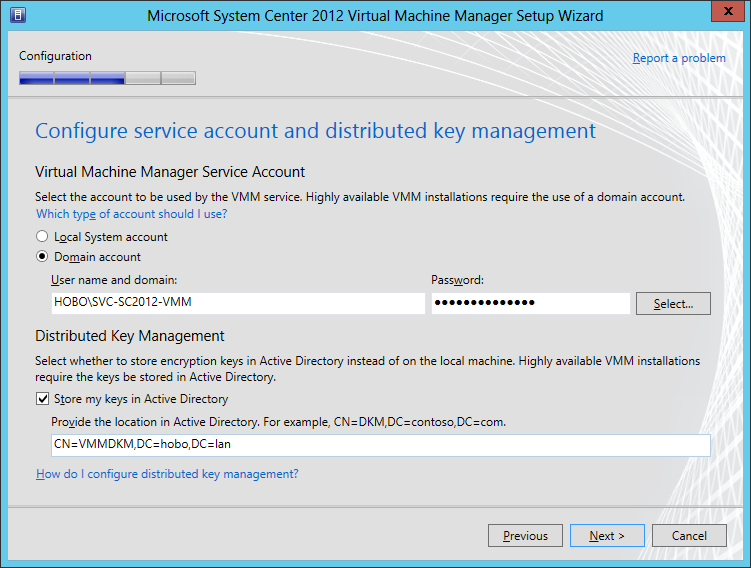 If you want use Distributed Key Management to store encryption keys in AD DS (if you use HA you have to) then you must first create a Container in Active Directory in the same domain before installing the VMM. 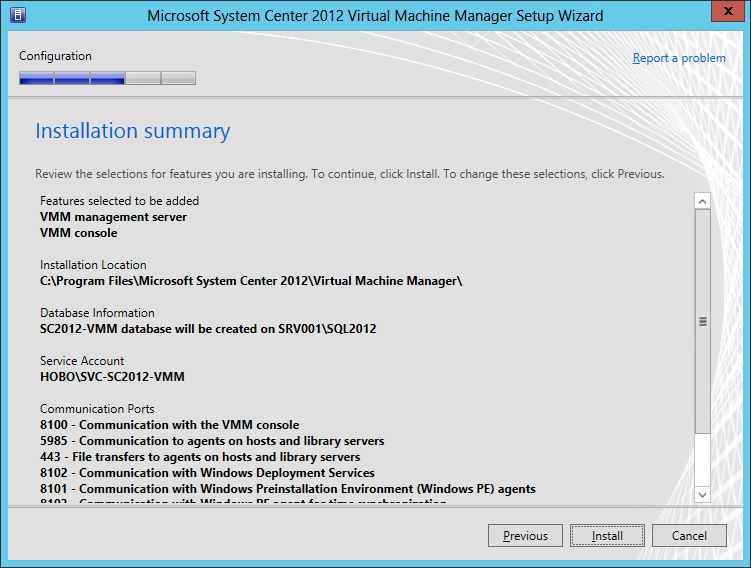 The domain user with which the VMM is installing must be given Full Control permissions on this Container and the permissions must be applied to “This object and all descendant objects”. 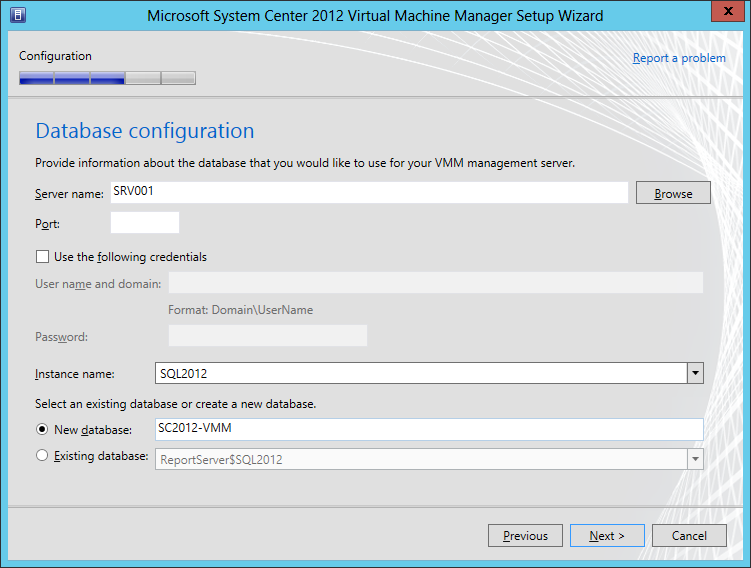 In this guide I have chosen to use a domain user account and to store the Distributed Key Management in AD DS. 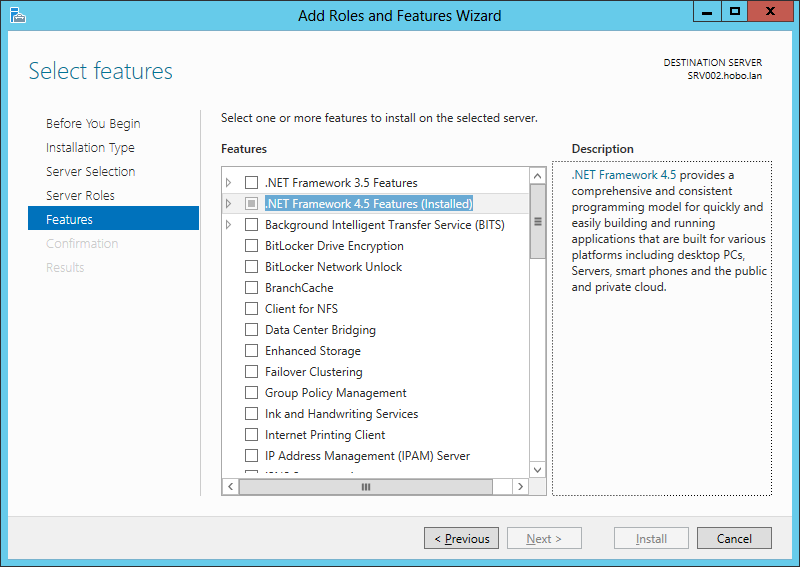 Make sure that “.NET Framework 4.5 Features” installed. 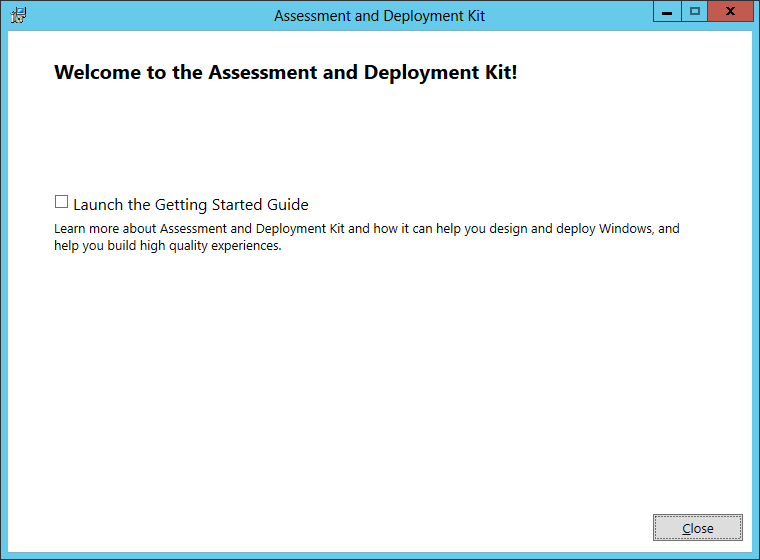 Start the “Windows Assessment and Deployment Kit (Windows ADK) for Windows 8” setup. 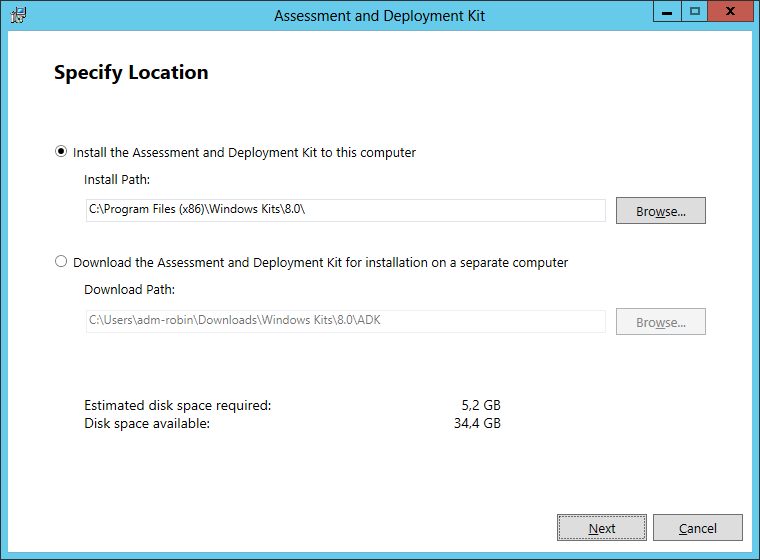 Select the option “Install the Assessment and Deployment Kit to this computer”, choose an Installation Path and click on the “Next” button. 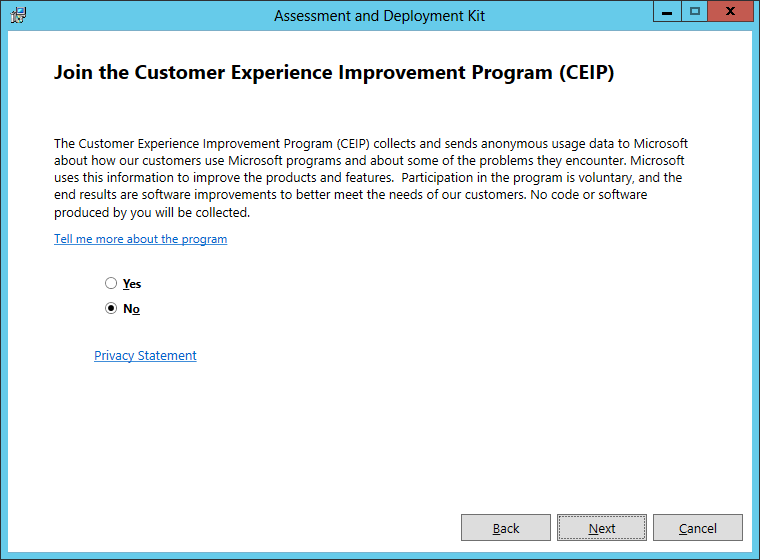 Make your choice and click the “Next” button. 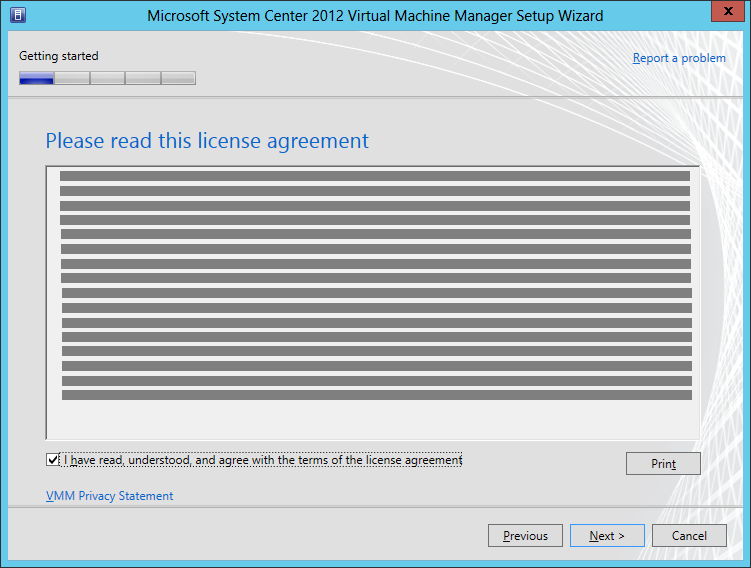 Click on the “Accept” button. 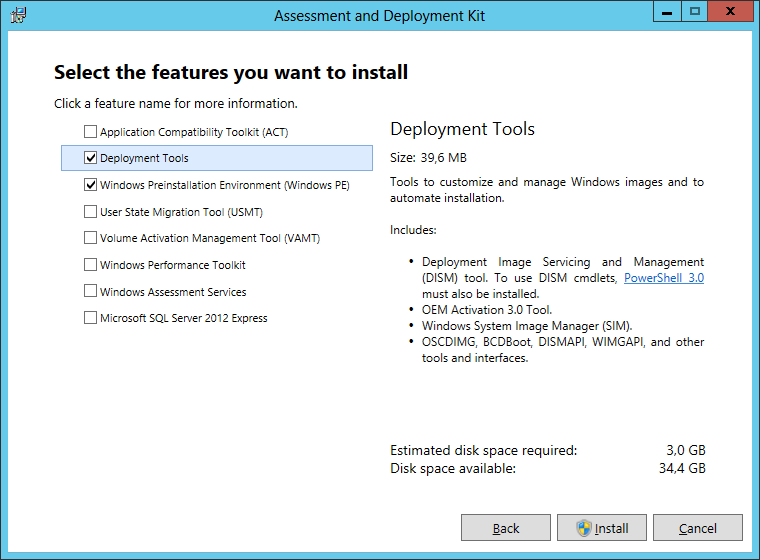 Select only “Deployment Tools” and “Windows Preinstallation Environment (Windows PE) and click on the “Install” button. 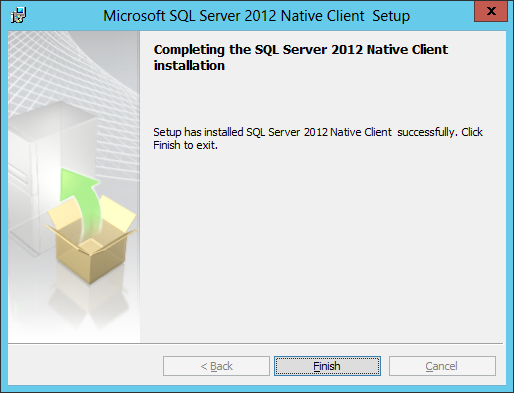 Start the “Microsoft SQL Server 2012 Native Client” setup. 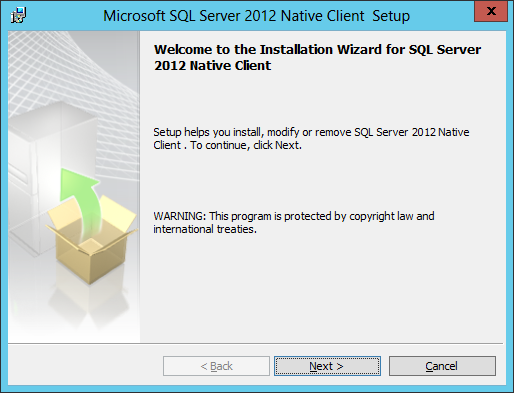 Click on the “Next” button. 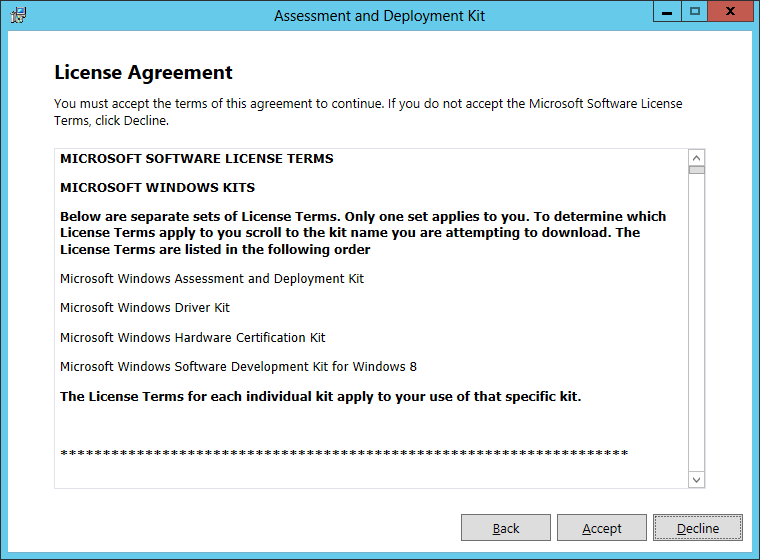 Select “I accept the terms in the license agreement” and click on the “Next” button. 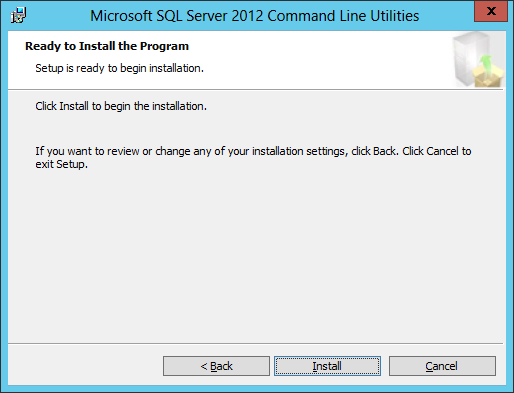 Select only the “Client Components” to install and click the “Next” button. 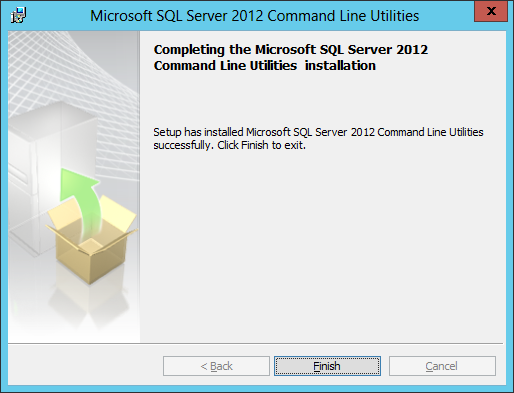 Start the “SQL Server 2012 Command Line Utilities” setup en click on the “Next” button. 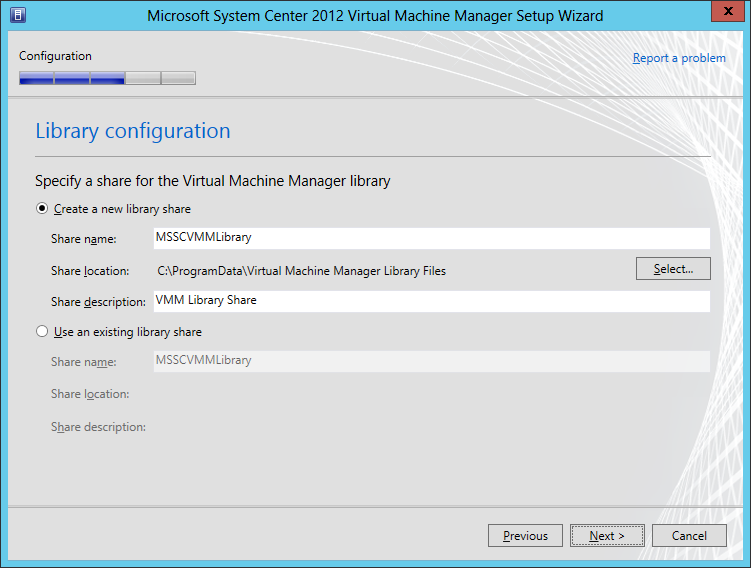 Before you begin with the installation of the VVM, make sure you have created the domain user and the Active Directory Container as mentioned before. 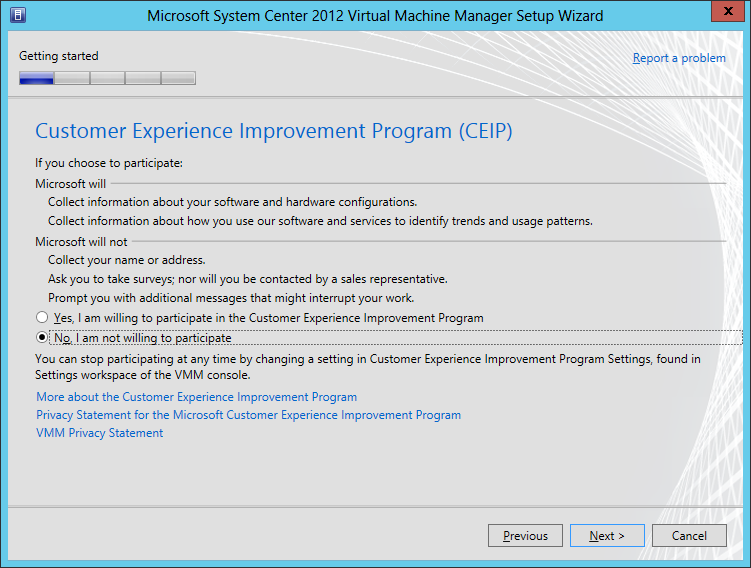 Select both options and click on the “Next” button. 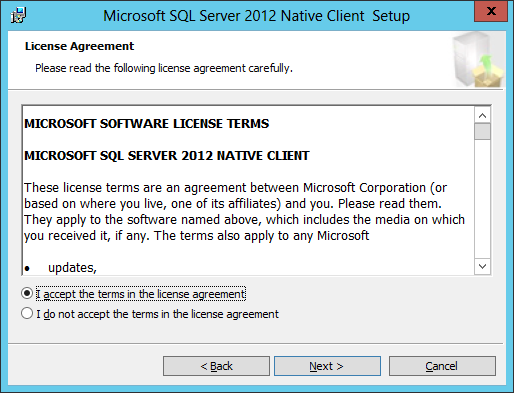 Fill in the requested information and click “Next”. 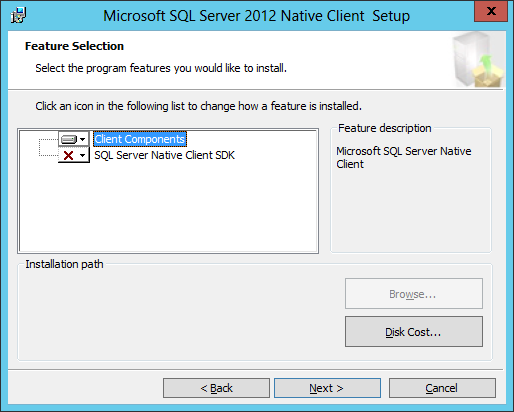 Fill in the requested information of the previously created domain user and Active Directory Container and press the “Next” button. Unless it is not possible in your environment, leave everything default en press “Next”. 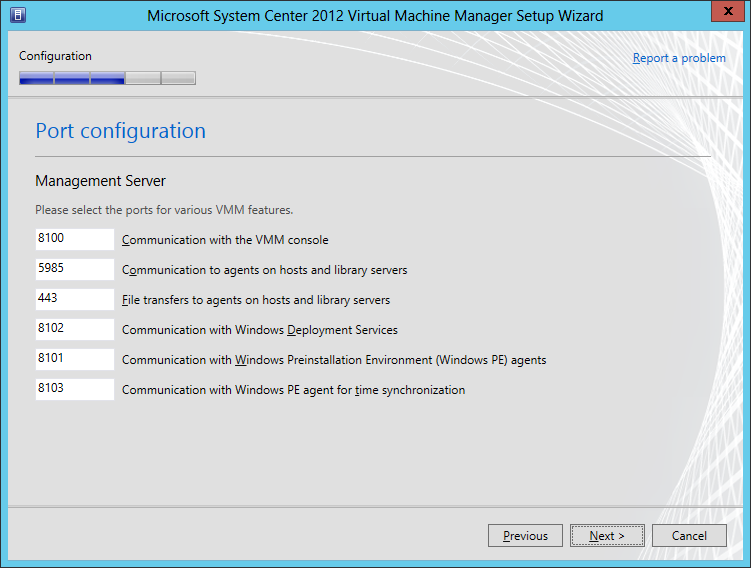 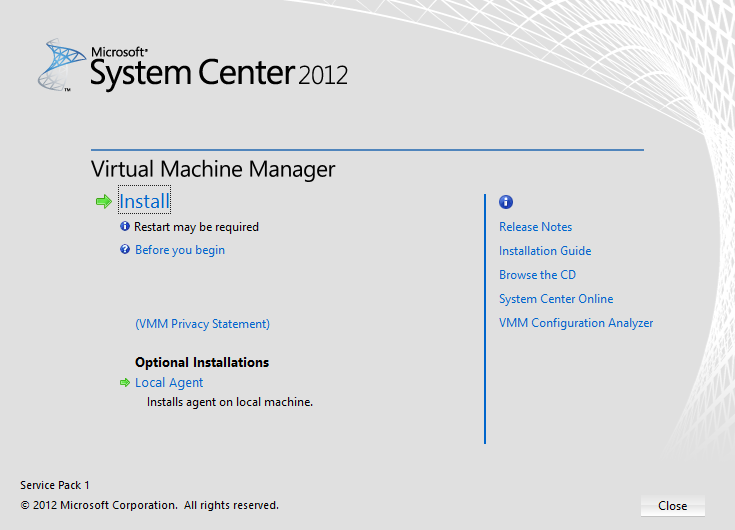 System Center 2012 Virtual Machine Manager is now installed and you are ready to build your Private Cloud.